As winter’s grip loosens, it’s time to stow away the parkas and snow shovels and have some fun! Whether you’re planning a summer getaway with old friends or a relaxing escape while the kids are at camp, the Brandywine Valley will rejuvenate you. Renowned for its cultural attractions, glorious gardens, elegant mansions, and superb museums, the Brandywine Valley offers a trove of new delights this year. Best of all, the 12 must-visit destinations discussed below can all be visited at discounted prices when you purchase a Brandywine Treasure Trail Passport. Located in Kennett Square, Pennsylvania, Longwood Gardens easily belongs in the pantheon of America’s greatest gardens. 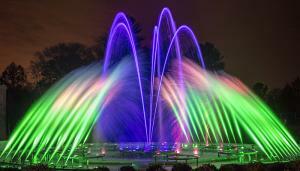 It features breathtaking horticulture displays, majestic fountains, and stellar performances. The 2017 season promises to be something special, thanks to the grand return of Longwood’s Main Fountain Garden, following a two-year, $90 million revitalization. This magnificent display rivals any on Earth with its beauty and ingenious application of leading-edge technologies and design. Fountain shows run daily starting May 27, 2017 with evening shows added on Thursdays, Fridays and Saturdays during the summer season’s extended hours. Modeled after Versailles, the regal Nemours Mansion is the former home of Alfred I. du Pont and his second wife, Alicia. The gardens draw from the stunning work of French sculptors Prosper Lecourtier and Henri Crenier, and experts consider Nemours to be the finest French-style gardens in America. Exciting news for spring and summer visitors this year: the caretakers for this storied property just threw out the rulebook and decided to allow visitors unprecedented access to the grounds of this 300-acre estate. Featuring tranquil ponds, a scenic meadow, and historic formal gardens, Mt. 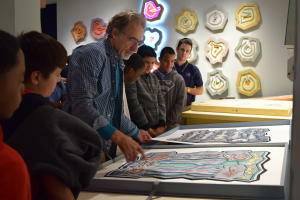 Cuba Center has been a home for conservation and preservation since the 1930s. Sit back and admire trees along the Dogwood Path, and discover the inspiring beauty of native plants at this botanical garden. Or head to the South Garden to lose yourself in a marvelously engineered display that pays homage to the rich color palette of all four seasons. Located on 235 acres along the banks of the Brandywine River, Hagley Museum and Library is the site of the gunpowder works founded by E.I. du Pont in 1802. This shining example of early American industry features indoor and outdoor exhibitions, including restored mills, a workers community, and the ancestral home and garden of the du Pont family. Which is more of a draw: the fascinating historical treasures or the restorative vistas of the River? You tell us! Founded by Henry Francis du Pont, Winterthur’s premier collection of American antiques reflects both early America and the du Pont family’s life at this exquisite estate. Enjoy tours of the house, an incredible 60-acre naturalistic garden, special exhibitions, shopping, dining, and a transporting experience that will refresh body and soul. From April 1 through the end of the season, Winterthur will feature Treasures on Trial: The Art and Science of Detecting Fakes. Using analysis from its own Scientific Research and Analysis Lab, Winterthur gives you a peek at the most clever and most costly deceptions, fakes and forgeries of all time. The Brandywine Valley offers more than just pastoral gems. Why not also immerse yourself in the wonders of the natural world at The Delaware Museum of Natural History? Experience an African watering hole, view a giant squid, and encounter a jaguar face-to-face. 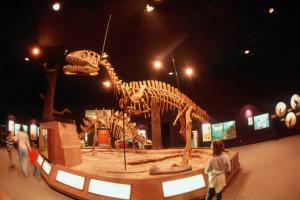 Gallery highlights also include the only permanent dinosaur collection in Delaware, a simulated coral reef, a Science in Action paleontology lab, and touring national exhibitions. The kids, if you thought to bring them on your getaway—no obligation, of course!—will love it. And don’t miss In The Dark, on display from June 24 through September 4, a dynamic exhibition that looks at the fascinating ways life meets the challenges created by darkness. It features interactives, immersive dioramas and lifelike models. 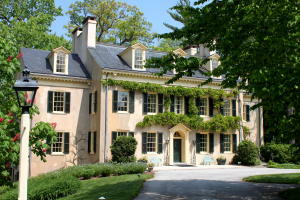 Just a few miles outside of Wilmington, through the rolling hills, Brandywine River Museum of Art is home to an outstanding collection of American art. The former 19th-century mill now includes a modern steel and glass addition overlooking the banks of the Brandywine River. 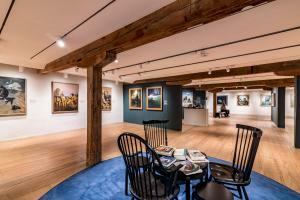 Renowned for its holdings of the Wyeth family of artists, the museum features galleries dedicated to the work of N.C., Andrew and Jamie Wyeth. From June 24 through September 17, Brandywine River Museum of Art will feature the exhibition Andrew Wyeth: In Retrospect – a celebration of the 100th anniversary of the artist’s birth; and it will display more than 100 of his finest works. Founded in 1912 in memory of artist Howard Pyle, the Delaware Art Museum is best known for its large collection of British Pre-Raphaelite art, illustrations by Howard Pyle, and urban landscapes by John Sloan. Don’t miss the outdoor sculpture gardens for some attention-grabbing three-dimensional pieces! And starting June 24, 2017 an exciting new installation reviews the rich work of advertising genius, McCauley (“Mac”) Conner, a titan of America’s “Mad Men” era of advertising. Mac’s illustrations populated magazines like Redbook and McCall’s and touched on topics as diverse as Cold War anxiety and juvenile delinquency. 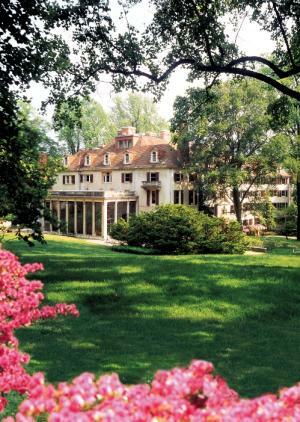 Located in Historic New Castle, second only to Williamsburg, VA in the number of authentic Colonial-style buildings, this twenty-two room Federal mansion is surrounded by one-and-a-half acres of formal gardens. Seasonal adornments make the house an enchanting place to visit year-round. Check out the museum gift shop, which specializes in Delaware gifts, souvenirs, and nostalgic toys. And before you rush off, consider spending the whole day immersing yourself in the town—a National Historic Landmark district with ties to William Penn himself. Tour the cobblestone streets, the town green, Jessops Tavern, a local Tippling House or two, the Court House Museum and New Castle Presbyterian Church. The Delaware Contemporary is a dynamic gathering place for the exploration of new ideas at the intersection of art, design, and technology. Located on the Wilmington Riverfront, each year, the museum presents 30 exhibitions of regionally, nationally, and internationally recognized artists. Listed on the National Register of Historic Places, this Rural Gothic mansion transports you to an earlier era through the Bringhurst family’s 20th century furnishings and photographs. Not to be missed, the Delaware Shakespeare Festival’s performance is held each summer in Rockwood Park. Audience members sit on blankets or lawn chairs and eat a picnic meal before the performance, and then watch as the actors bring the Bard to life. The Delaware History Museum, which was once a Woolworth’s Department Store in downtown Wilmington, has evolved into one of the most fascinating educational attractions in all of Delaware; newly renovated, it houses the newly completed Jane and Littleton Mitchell Center for African American Heritage. The Mitchell Center for African American Heritage aims to collect, preserve, research, and present the history and heritage of Delaware’s African American community. Whether you’re a nature lover, art aficionado, or history buff, you&apos;ll find plenty to love about Wilmington and the Brandywine Valley. Purchase your Brandywine Treasure Trail Passport and plan your visit today!